Kate Aspen's Diamond Ring Soap transforms ordinary hand soap to extraordinary. Guests at your bridal shower, bachelorette party or wedding will definitely say, "Yes!" to this fun twist on a classic favor. 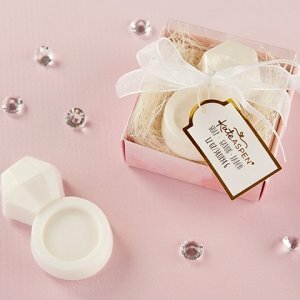 Shaped like a diamond ring with a raised gem and band, this decorative soap features a fresh, clean scent. 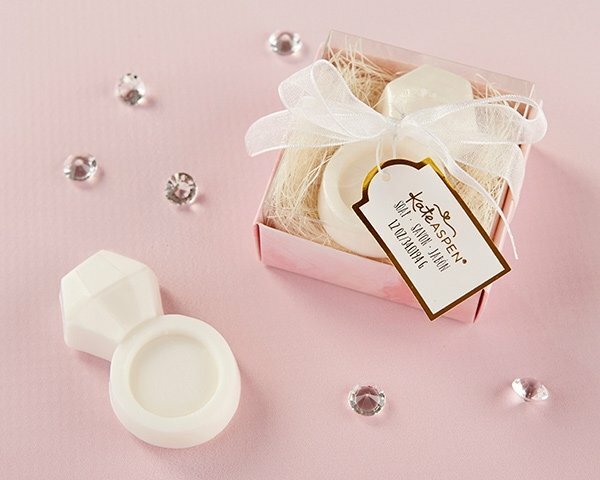 White soap is in the shape of a diamond, with a raised gem and recessed ring. Soap has a fresh, clean scent.